The installation is straight forward and like any other Windows Software. The whole install process is documented here as reference. 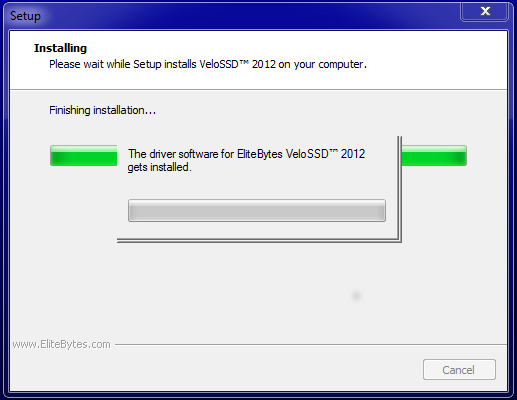 LetÂ´s install the software now. 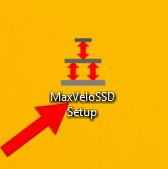 You need to have the latest MaxVeloSSD Setup.exe file on your computer now. 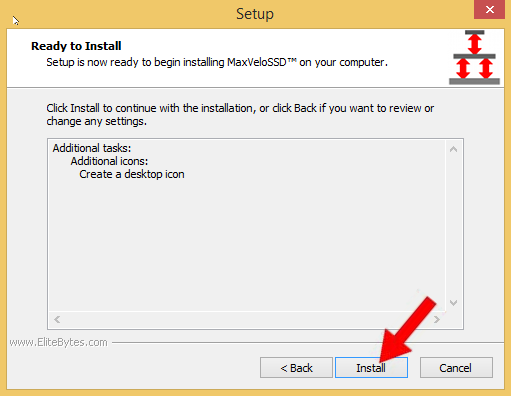 Double click on MaxVeloSSD Setup.exe. Windows User Account Control will ask you for allowance. You can verify the Setup file is from EliteBytes. Click âYesâ to continue. 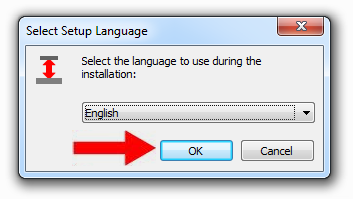 Select a setup language, default is the current Windows language. Then click âOKâ. 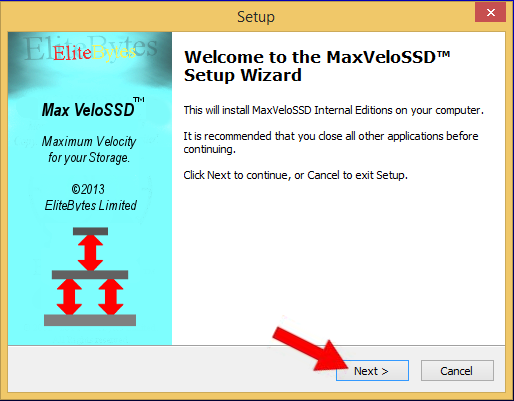 The MaxVeloSSD Setup will start. Click âNextâ. 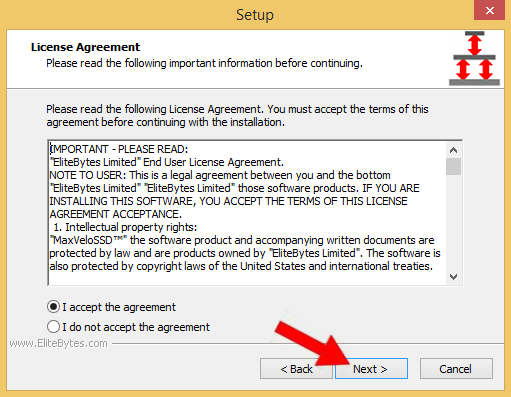 Read the End USer License agreement and accept. Then click âNextâ. 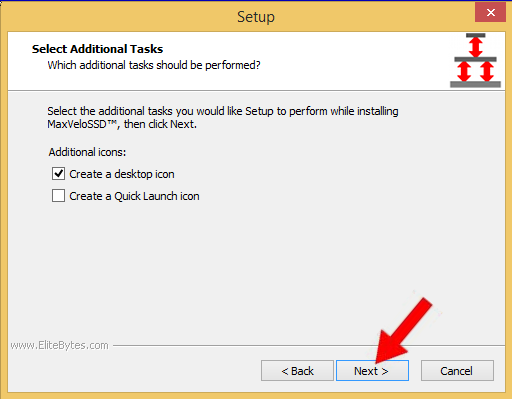 Select additional tasks and click âNextâ to proceed. The Application, libraries and drivers are getting installed now. The Setup is completed. Click âFinishâ. 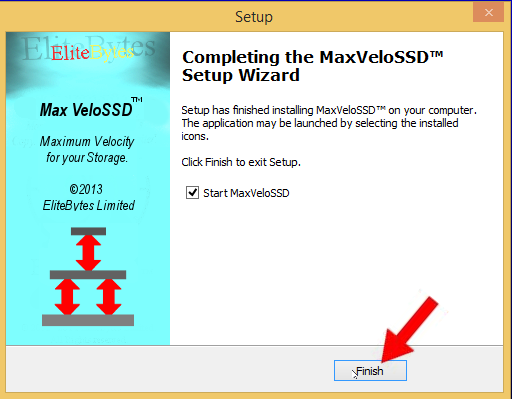 The MaxVeloSSDâ¢ application will start now, asking for your installation key. This is the key you requested earlier. 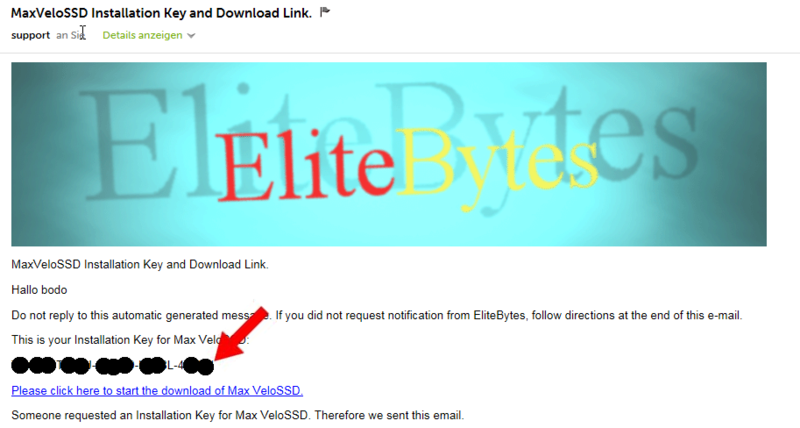 Look in the email you got from EliteBytesâ¢ and copy the key to the clipboard. 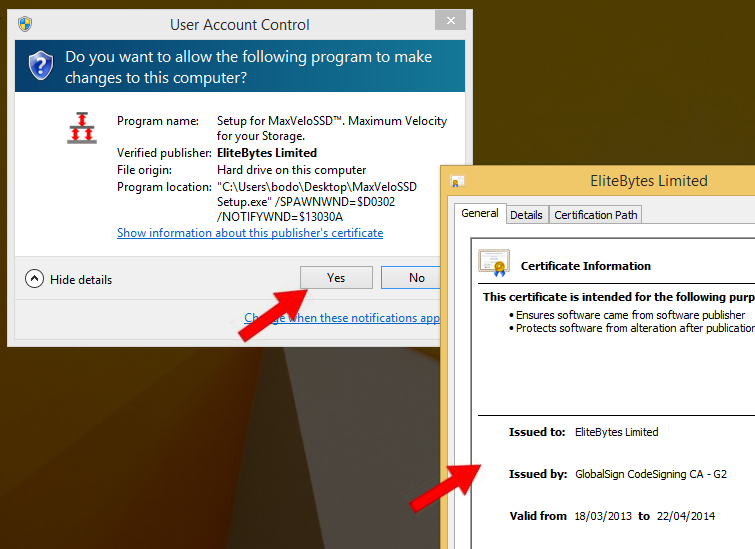 Then paste it into the field below and click ok.
Now you can activate the Software or use it in trial mode. 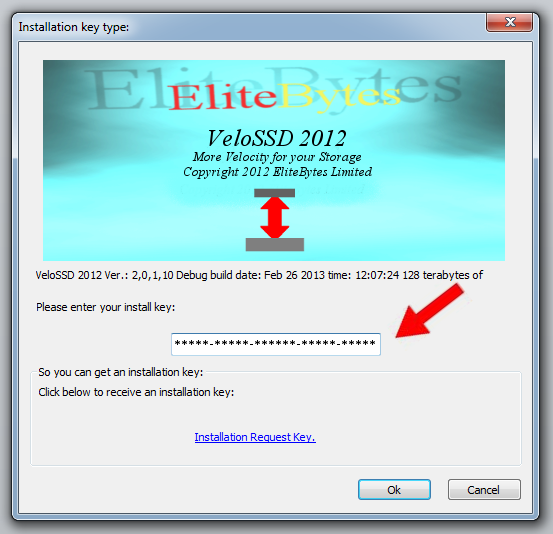 This allows you to try SSD caching for a limited time. Detailed instructions on how to add a cache are given later.